The once-great phone giant Nokia sold its smartphone business to Microsoft back in 2013, and later began licensing the Nokia name to various Chinese companies. 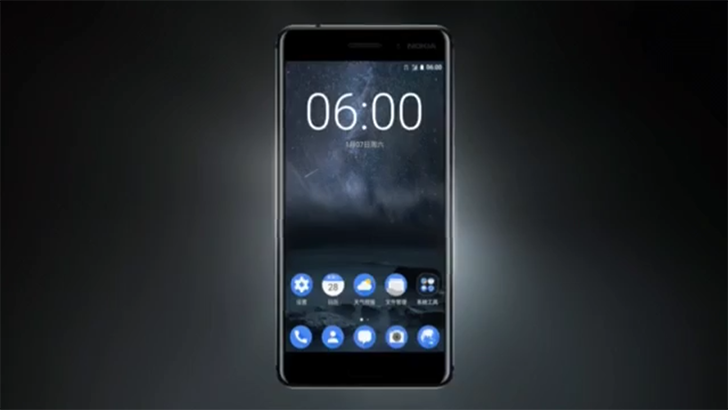 Nokia previously announced its return to smartphones last month, and now a promotional video for one of the company's upcoming Android-powered phones has leaked. The low-resolution video doesn't give us much to go by, but the phone seems to match up with the leaked specifications for the Nokia D1 (also referred to as the Nokia 6). That would mean the above phone has an unnamed octa-core Snapdragon CPU, 4GB of RAM, 64GB of storage with microSD expansion, and Android 7.0 Nougat. Dolby ATMOS surround sound is advertised in the video, which matches up with the leaked specifications. While the specs are impressive, the microUSB port seen in the video is a bit of a bummer. Still, I am looking forward to Nokia's return to the smartphone industry.